Ruth is the author of Don't Bite Your Tongue: How to Foster Rewarding Relationships with your Adult Children and of Don't Roll Your Eyes: Making In-Laws Into Family. She is a former assistant minority leader of the New Hampshire legislature and former Deputy Commissioner of Health and Welfare in that state. She was also the advice columnist for Jewish Journal Massachusetts, and Seesaw column of Forward.com. While a visiting scholar at the Wellesley Center for Research, she wrote an historical analysis of the "Changing Perceptions of Mothers of Children with Disabilities." She has also published articles about environmental advertising, women in politics, and Jewish intermarriage. 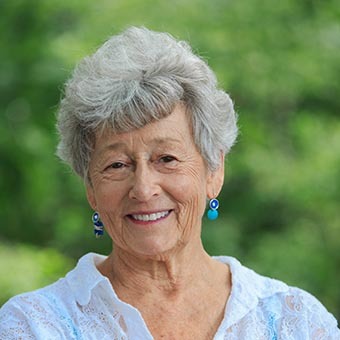 Dr. Nemzoff has served on the boards of the New Hampshire United Way, New Hampshire Business Development Corporation, Boston's Jewish Family and Children's Services, and of Newbury College. She founded a nursery school, a counseling service, and the National Women's Legislative Lobby. For ten years she was Chair of the advisory committee of the University of Massachusetts' Center for Women, Politics and Public Policy. Currently She is on the board of InterfaithFamily. She and her husband Harris Berman have four adult children, four in-law children and ten grandchildren. Dr. Ruth Nemzoff is a columnist for JewishBoston.com and The American Israelite and is a frequent blogger for Huffington Post and BetterAfter50. She continues to speak both nationally and internationally about intergenerational relationships. Her topics of expertise include relationships with adult children, relationships with in-laws, intermarriage, and emerging adulthood. Her blogs can be found on her website, RuthNemzoff.com. Nemzoff, Ruth. Don’t Roll Your Eyes: Making In-Laws Into Family. New York: Palgrave MacMillian, 2012. Nemzoff, Ruth. Don’t Bite Your Tongue: How to Foster Rewarding Relationships with your Adult Children. New York: Palgrave MacMillan, 2008.